Complete the campaign using Ruby. Complete the campaign using Yang. Complete the campaign using Blake. Complete the campaign using Weiss. Refund all of your Ability Points. Complete the campaign in single player. 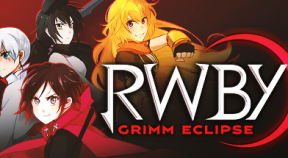 Play in an online match with all four team RWBY members present. Reach 100 hits on the combo counter. Revive a teammate after purchasing Quick Revive. Do a Team Attack with Ruby and Yang. Complete any level without taking damage. Get the highest score in a four player online match on a single level. Get an assist on a Mutant Beowolf. Kill a Mutant Beowolf while your Aura is depleted. Collect 10 artifacts during a single play session. Get Wave MVP five times in a waved encounter. Get four flawless waves in a waved encounter. In a four player online game, each player deposits at least one dust crystal. Do Blake's taunt right after killing the Mutant Deathstalker. Collect the artifact at the end of the jumping puzzle in Forever Fall. Complete any level by only using ranged attacks. Complete Chapter 4 with 3:00 minutes or more left on the clock. Kill 35 enemies with turrets during a single horde match. Beat any horde map without building a turret. Have 10 active turrets at once during a horde match. Win any Horde map with all security nodes at 85% health. Beat any Horde map solo. Collect a total of 20,000 Lien during any Horde match. Play in an online match with Jaune, Nora, Pyrrha, and Ren. Complete the campaign using Jaune. Complete the campaign using Nora. Complete the campaign using Pyrrha. Complete the campaign using Ren. Go Team RNJR! Play in an online match with Ruby, Nora, Jaune, and Ren.